The Productivity Managers' Network is comprised of employee representatives from each County department, who have been designated as Quality and Productivity Managers by their department heads. 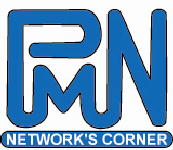 Among the benefits of being a Network Manager is the opportunity to participate in training conferences and seminars. The Network is at the informational forefront of County quality and productivity methods; has the opportunity to expand knowledge; and can be a catalyst in their own department. The managers serve as a liaison between the Quality and Productivity Commission and his/her department. They also represent his/her department to various QPMN, QPC Committees, and other departments. The Productivity Managers' Network (PMN) Holiday Reception was cancelled due to the Board of Supervisors declaring a "National Day of Mourning" for President George H. W. Bush. On the behalf of Commissioners and staff on the Quality and Productivity Commission, we want to wish everyone a Happy Holiday Season! The Commission started a new tradition of honoring not only Productivity Managers, but also honoring those managers who have served in the past. The Commission values their service and is always open to their ideas, suggestions, and questions. The new “virtual” channel of communication with the alumni will serve as yet another conduit to new ideas and collaborations.